Fancy a slot with tons of excitement? Then Play the latest release by Amatic - Hot Twenty.This retro game is designed so that players can have lots of fun and still win prizes. The fire which burns all symbols after winning will excite you as you spin the reels. Hot Twenty is a 5-reel, 3-row and 20 payline slot with a scatter and a wild to assist you to make easy wins.Get ready to feel the heat as you play this game as you try and win the fabulous prizes hidden within. While this game is another fruit machine, you will be surprised by the flaming hot prizes which it awards. The game will take you on an adrenaline roller coaster as you try and win the highest prize. The game features characters which will ensure that you land easy wins but you must be patient before you land the biggest prize it awards.The game takes on a fruity and flaming theme and it accomplishes this by employing the flame whenever you win. The characters are displayed perfectly while the graphics are superb. 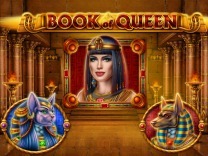 There is also a soundtrack which will keep on nudging you to continue playing the slot. You can play this slot from any devices either at the comfort of your home or while on the go. 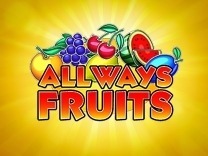 It does not require any download as it can be played directly from the web browser.If you are searching for a fruit machine which is perfect for everyone, then this is the game to choose. 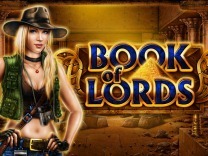 It is a low variance slot and will award frequent pays between spins. Amatic has ensured that players are able to get the most out of their favourite games by ensuring that it offers an excellent base game. The game features characters such as melons, lemons, oranges, berries and cherries. These are the high and low paying symbols incorporated into the slot. The highest payout from these symbols will pay is 2000 coins for matching 5 of the melons while the lowest amount which can be won is 50 coins for matching 3 of the cherry symbol.Before you can begin playing this slot, you need to understand the gameplay. You will be required to set a wager and this can be done through the buttons located at the bottom of the slot. You can set a bet by adjusting the coins and number of lines. You can set a bet of between 1 and 50 coins per line. For those who do not like manually spinning the reels, there is an auto start button which is incorporated into the slot. In Hot Twenty, you will find 20 paylines which will give you multiple chances to make winning combinations with each spin. You have to match at least 3 symbols on an active payline to receive a payout.Watch out for the wild symbol as this is the best symbol in Hot Twenty. Matching 5 of these symbols will award you up to 1,000,000 coins. While you will find a wonderful base game, you will be astonished by the bonus features which have been included in this slot. The first bonus feature which you will encounter is the gamble feature. This feature is tied to the base game winnings and allows you to double or quadruple your winnings. It is presented as a card guessing game where you have to choose between two colours black and red or choose the correct card suit. Choosing the correct colour means doubling your winnings while choosing the correct card suit, means quadrupling your wins. It is important to note that any incorrect guesses will lead to you losing your winnings.There is also a scatter symbol which offers very high pays. The scatter pays at any position on the reels. Matching 3 to 5 of the scatter symbols will award you up to 500,000 coins. But what makes this slot amazing is the wild represented by the red flaming 7. This symbol will pay up to 1,000,000 coins for matching 5 of these symbols. Filling the entire slot with the wild will award you even more prizes.